Back in the beginning of July, I was at my local LEGO Store partaking of a double points event. During checkout, I was offered a chance to sign up for an adult model build later in the month. 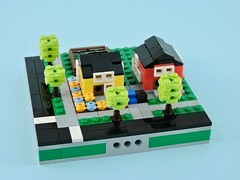 Free LEGO? No kid madness? Of course I signed up. This event was only open to adults (18+) who made purchases of $75 or more in the first part of the month. On top of that, there were only 80 spots available across two nights. I’ve never taken my kid to any of the normal Model Build events because they’re such a crowded circus. When I arrived for the event on my scheduled night, I was a bit surprised to see that a number of kids were participating. I try not to be too much of a grinch, but it had been billed as and adult event and I wasn’t really that interested in all the kids. Once I checked in, some of the other participants scooted around to make room for me. A store employee (an assistant manager, I think) handed me a small tray of elements (full to the brim) and a set of printed instructions. 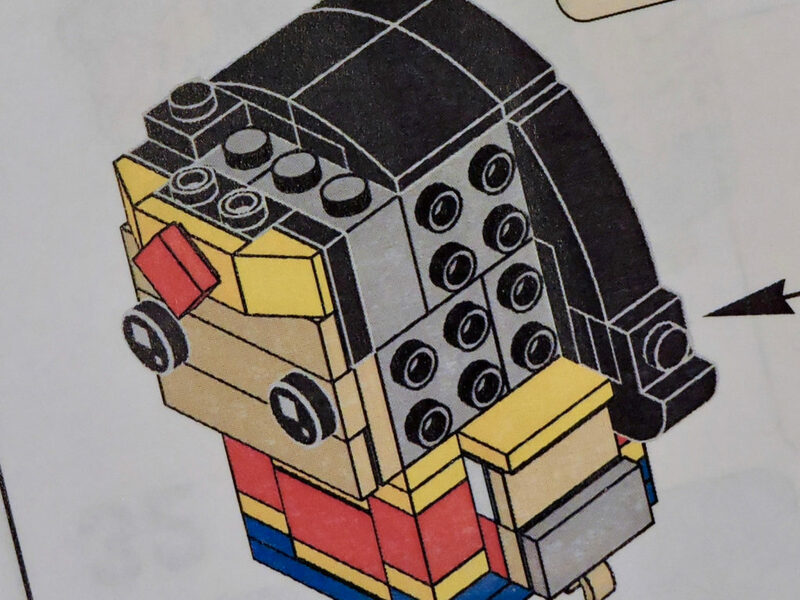 The instructions were of the high quality that I’ve come to expect from LEGO. If I had any quibble about them, it is that I wish they’d been in a booklet. The instruction pages were double-sided and a bit unwieldy in the small space. My real complaint about the event is that it seems to have been run as if it was a kid event, with little interest in adjusting it for adults. There were no chairs, which wouldn’t have been a big deal, if the tables had been taller. Instead, they used low tables (that I assume are used for the kid events) and the adults had to either kneel or squat. Neither of which is terribly comfortable. It felt like about half the participants were little kids. Most of their parents made a show of pretending that the kids were just there to ‘help,’ but that didn’t change the fact that I had a kid on either side of me during my build. For an adult event, it certainly felt like half the participants were kids. 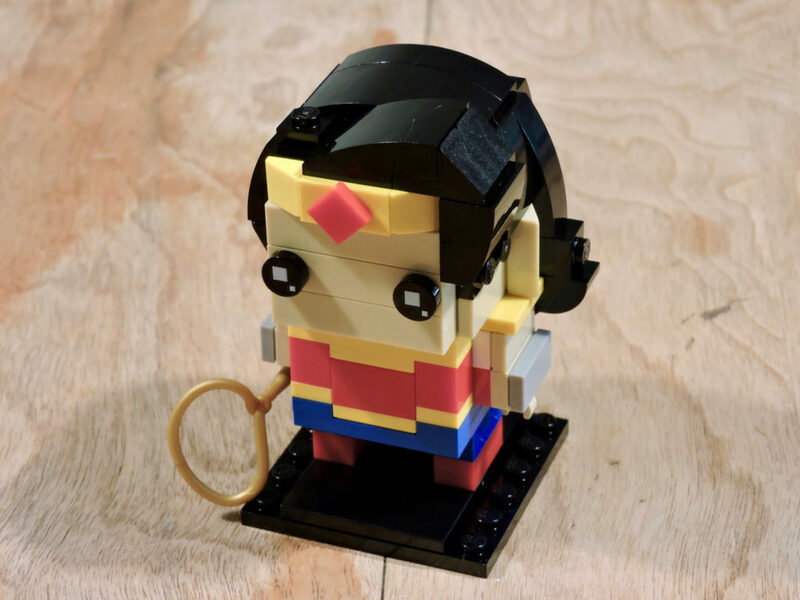 My finished Wonder Woman BrickHeadz turned out pretty cool. 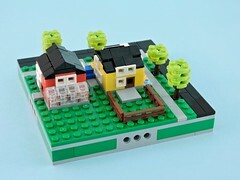 I’m a bit disappointed that the base doesn’t have a printed tile, but other than that, it is sweet. All in all, it was a fun little event. My complaints are fairly minor, really just my personal peeves, though it would be great to have seating next time. 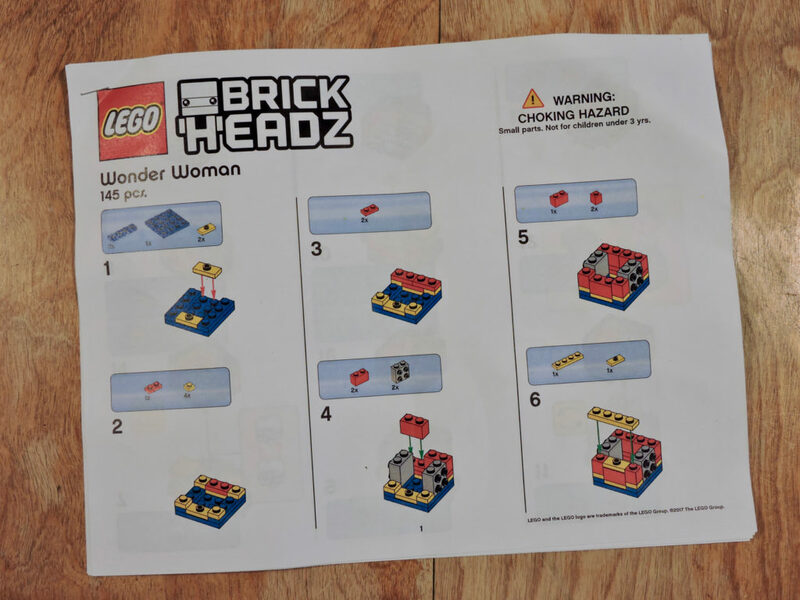 I’d love to see more events like this in the future, especially if LEGO can actually tailor them better for the adult fans that they are for.